We are the manufacturer and exporter of PVC Socketing Machine.With the support of our team members, we are able to bring forth a great range of PVC Socketing Machine. 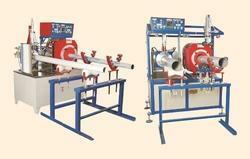 These PVC Socketing Machine are manufactured in compliance with industrial parameters. Our offered PVC Socketing Machine products are highly appreciated for their incomparable attributes. 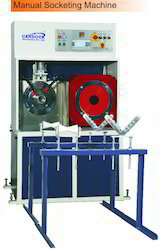 These PVC Socketing Machine are available with us in multiple sizes and specifications as per the clients demands. We also cater the export orders from many countries like Gulf Countries,Saudi Arabia,Iran,Iraq,UAE,South Africa,Nigeria,Kenya,USA,UK,Latin America and many other countries. We, Candour Machinery. Pvt. Ltd. Where Technology combines with engineering brilliance to give the cutting edge to the Plastic Processing equipments. We believe that the solution arise from within the problem, hence one users friendly and cost effective solution to your entire socketing system. Since each product is unique in it's own way, Candour Machinery designs & customizes special Socketing Machine to suit your particular need. Our socketing machines are used by top name in the industry who prefer nothing but the best. Semi Automatic pneumatically operated smooth socket PVC Pipe end belling machine from 50mm to 200mm with one forming station of Solid Steel mandrell & cooling by External water pump spray, Monogram Embossing & Ejection Automatic cyclic operation. Easy & Quick Die Changing Design. Digital Temperature controller with Sensor for Heating Systems. Infrared heater's heating chambers (Inside S.S) with Suitable Insulations. Embossing device attached to get companies monogram on each Formed socket. Stainless Steel (304) tank for Water Storage. High Quality Standard makes Pneumatic Cylinders. Powerful pipe Ejection system after socketing. Easy operation process with digital display and alarm indication. We are offering Automatic PVC Pipe Socketing Machine for PVC Pipe Socketing for Simple Socket i.e. We are offering these machine in various rang to our clients, we offer Solvent Cement Joint Type Socket for Pipes used for irrigation as well as for conduit purpose. The machine is equipped with parts like off-line semi Automatic Machine for PVC Pipe Socketing. Size range in rotary models - 19~25, 20~50, 32~75, 40~90, 63~110, 110~ 200, 1/2" ~ 2"
We, Candour Machinery Pvt. Ltd. Where Technology combines with engineering brilliance to give the cutting edge to the Plastic Processing equipments. We believe that the solution aries from within the problem, hence one users friendly and cost effective solution to your entire socketing system. Since each product is unique in it's own way, Candour Machinery designs & customizes special Socketing Machine to suit your particular need. Our soketing machines are used by top name in the industry who prefer nothing but the best. Semi Automatic pneumatically operated smooth socket PVC Pipe end belling machine from 50mm to 200mm with one forming station of Solid Steel mandrell & cooling by External water pump spray, Monogram Embossing & Ejection Automatic cyclic operation. 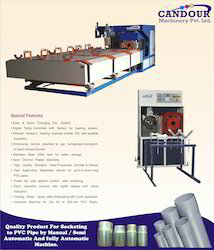 We Candour Machinery Private Limited have been able to cater a wide array of PVC Pipe Belling Machine to our valued patrons. These machines fin extensive application in various industries and sectors. 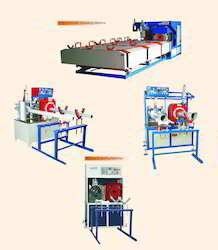 These are semi automatic machines widely used for cutting of pipes. 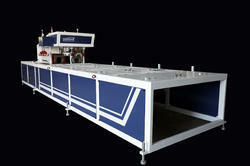 We can provide these machines in different sizes, dimensions and grades as per the clients specifications. We also cater the export orders from many countries like UAE,Saudi Arabia,Iran,Iraq,Gulf Countries,South Africa,Nigeria,USA,UK,Latin America and many other countries. 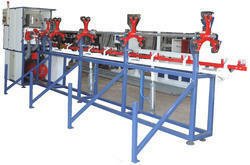 We are instrumental in offering a wide range of Plain Socketing Machine to our esteemed clients. Fabricated by making use of use superior quality raw materials, these Plain Socketing Machine are able to meet requirements of different sectors. These Plain Socketing Machine are compact enough to satisfy defined parameters of the industry, signifying their high standards. 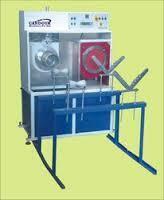 These Plain Socketing Machine can be availed from us in different sizes and specifications. We also cater the export orders from Gulf Countries like Saudi Arabia, UAE, ran, Iraq, Kuwait, Oman, Tazakistan, South Africa, Kenya, Namabia, Malaysia ,Indonesia, Ethiopia, UK, USA, Nigeria, Ghana, Mexico, France and other part of the world. Basically used for PVC pipes, this Socketing Machine is greatly cherished in numerous industries for varied applications. 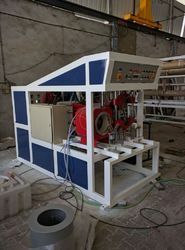 Offered machine is manufactured under the direction of our experienced team of professionals, using best-in-class components and progressive techniques in line with set international standards. Also, proposed machine is stringently tested on defined parameters to ensure its defect-free nature. Available in various design and technical specifications, this Socketing Machine can be purchased from us at most reasonable rate. 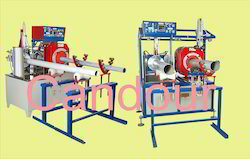 We At Candour Machinery Manufacture Various Post Exturion Equipments Like, Socketing Machine, Belling Machine for PVC Pipes, Spring Hopper Loader, On line PVC Pipe Printer, HDPE Pipe Printer, Pad Printing Machines and Systems. We are Also OEM Suppliers to Windsor Machines , Rajoo Engineers, Rollepal, Theysohn Extrusion and so many. We are in to this field from last 27 Years, and having a vide base of Customers.